The Horologicon (or book of hours) gives you the most extraordinary words in the English language, arranged according to the hour of the day when you really need them. Do you wake up feeling rough? Then you're philogrobolized. Pretending to work? That's fudgelling, which may lead to rizzling if you feel sleepy after lunch, though by dinner time you will have become a sparkling deipnosophist. 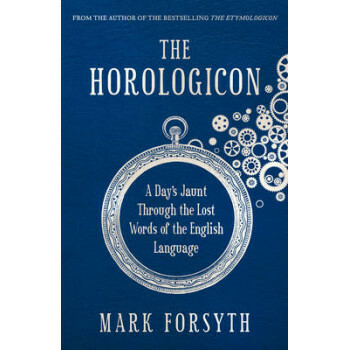 From Mark Forsyth, author of the bestselling The Etymologicon, this is a book of weird words for familiar situations. From ante-jentacular to snudge by way of quafftide and wamblecropt, at last you can say, with utter accuracy, exactly what you mean.